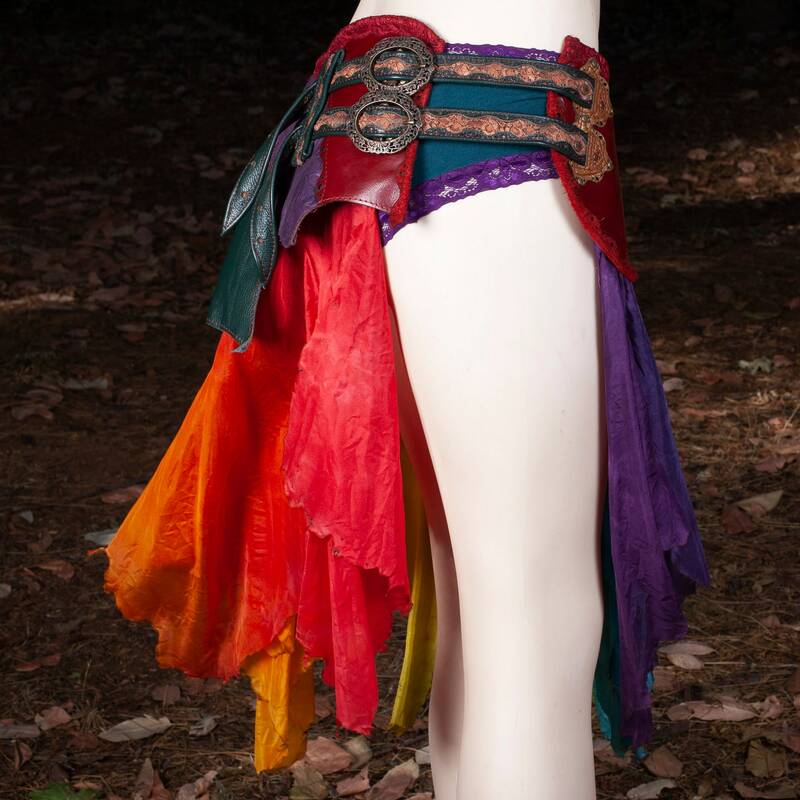 The Starfire Skirt Belt is indeed a show stopping piece of wearable art, as there are no two that are alike. The magic is in the attention to every intricate detail! 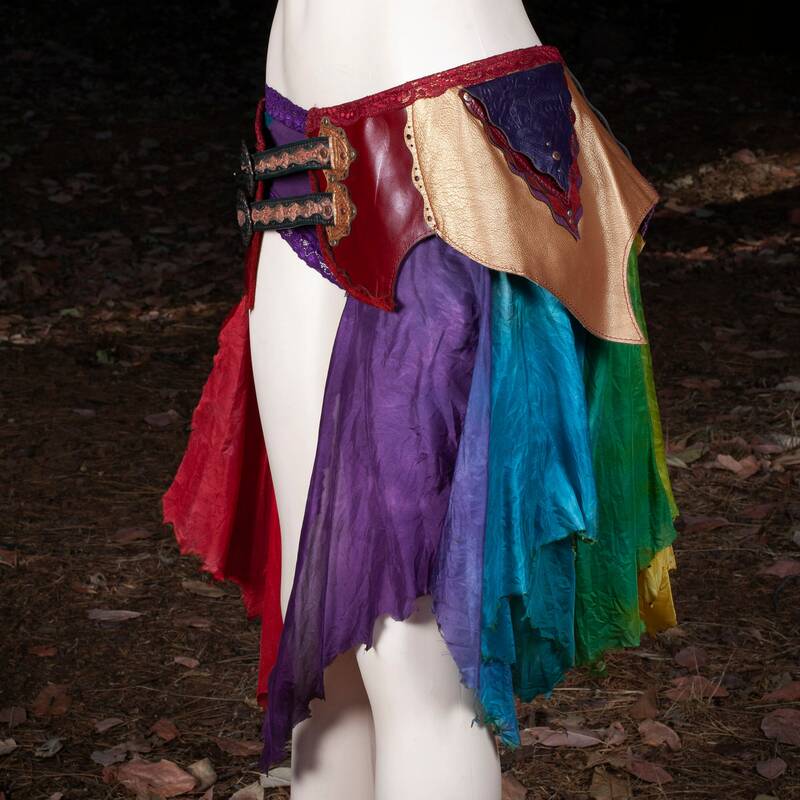 The leather skirt and 2 pockets are made from beautiful multi-colored pieces of unique leathers and delicate leaf like scalloped pockets with stitch detail. 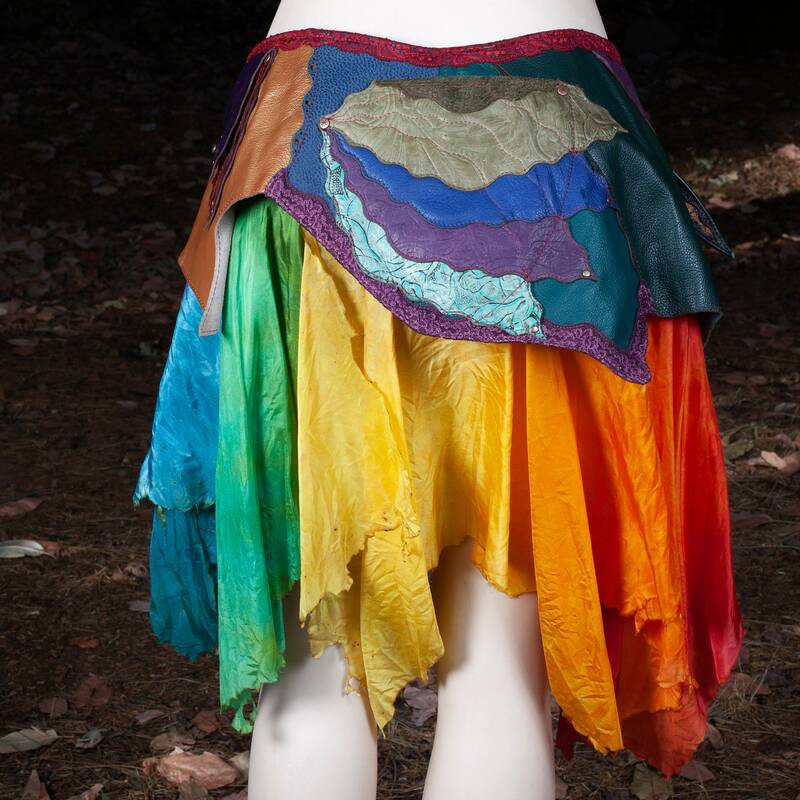 The colorful flowing burnt edge silks are perfectly matched to each skirt belt and always one of a kind. We further embellish each skirt belt with french lace and the highest quality decorative etched rivets/buckles. The skirt belt straps enable it to be adjustable in size and each size will fit a range of bodies. 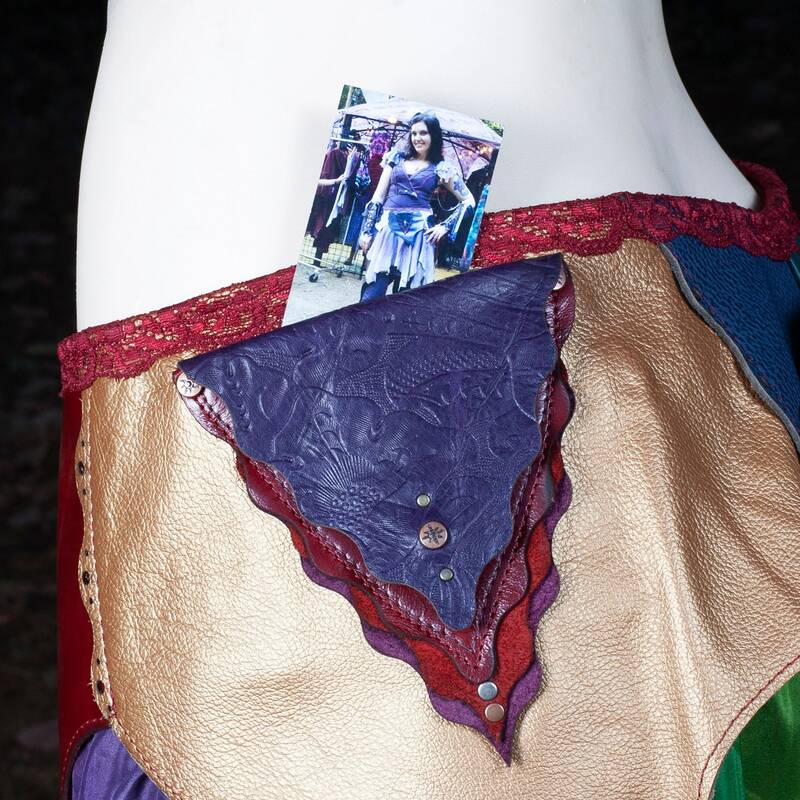 Our skirt belts come in XS/S, S/M, M/L, L/XL & XXL. 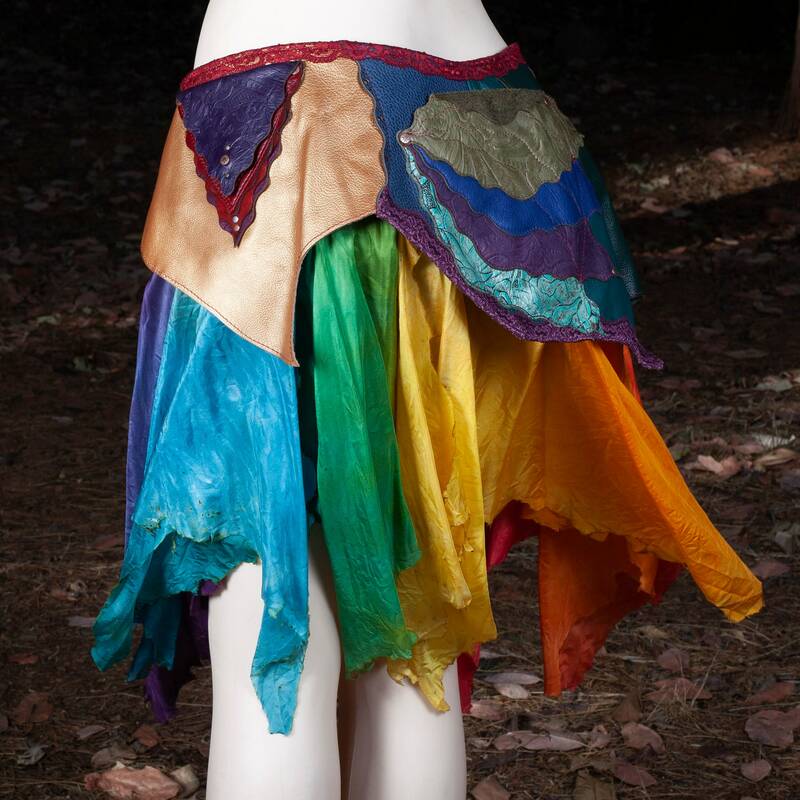 SILKS, LEATHER & LACE~ I love the Rainbow creations we make, each one is so unique unto itself. 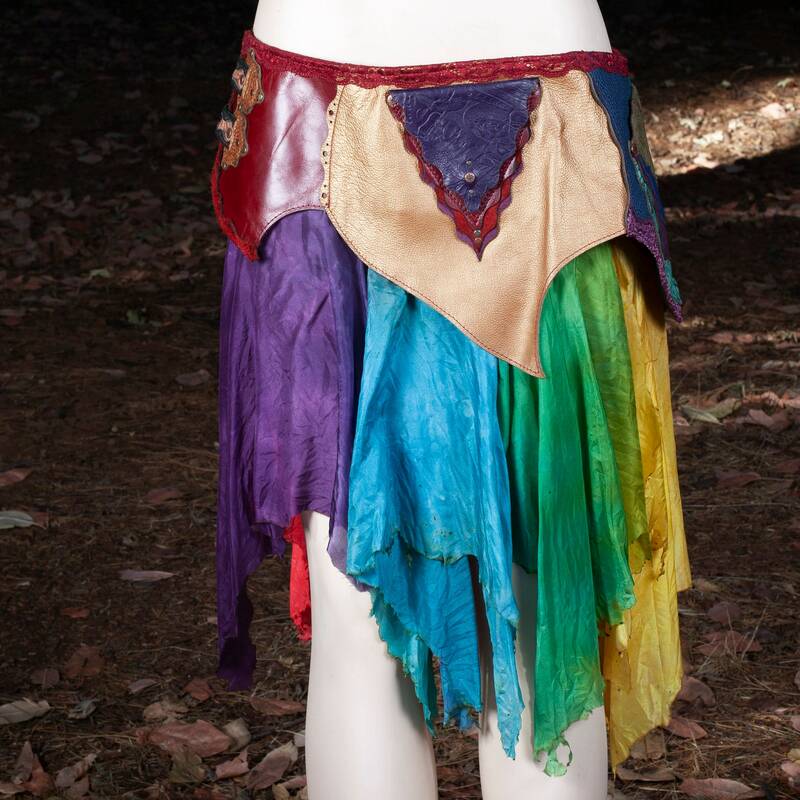 This one definitely has some strong red, purple and gold accents with of course all the colors of the Rainbow included. HARDWARE~ Decorative Copper etched sun rivets and Tarnished Brass hardware with gorgeous etched buckles. 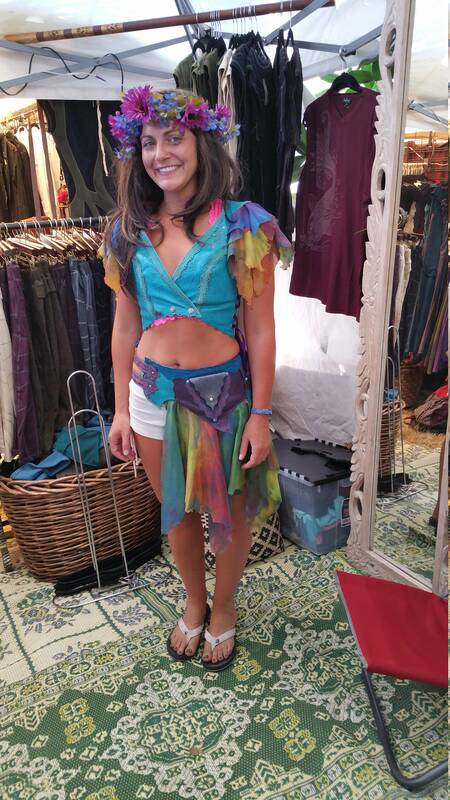 Longest Point on the Silks= 27"
At its smallest measurement it will fit a waist size of 34.5" waist and fits up to 40.5". 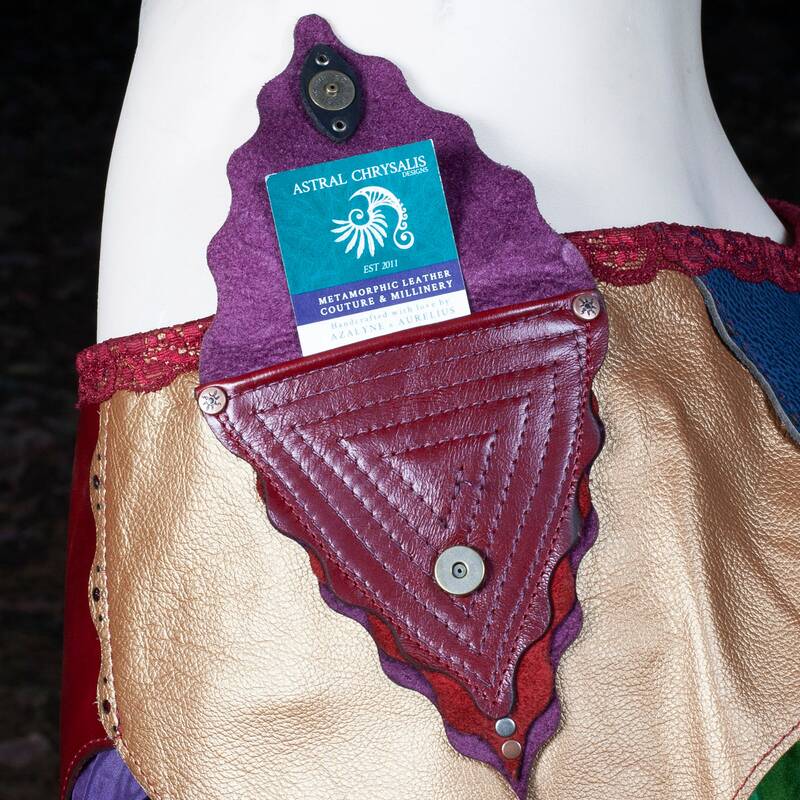 It is sized to accommodate both women who wear skirts at their true waist and those who wear skirts at their hips. It is designed to be worn with straps opened up in the front, but you can wear it completely shut if that calls to you. See pictures for the visual of the following description. 1st mode of wear is with straps in front, which places the smaller triangle double pocket on the side of your hip and places the large leaf pocket on the booty. 2nd mode of wear, the straps are on the side, showing off the hip and legs, while placing the bigger pocket at the hip and the small triangle double pocket to the front. I personally love the 2nd mode. 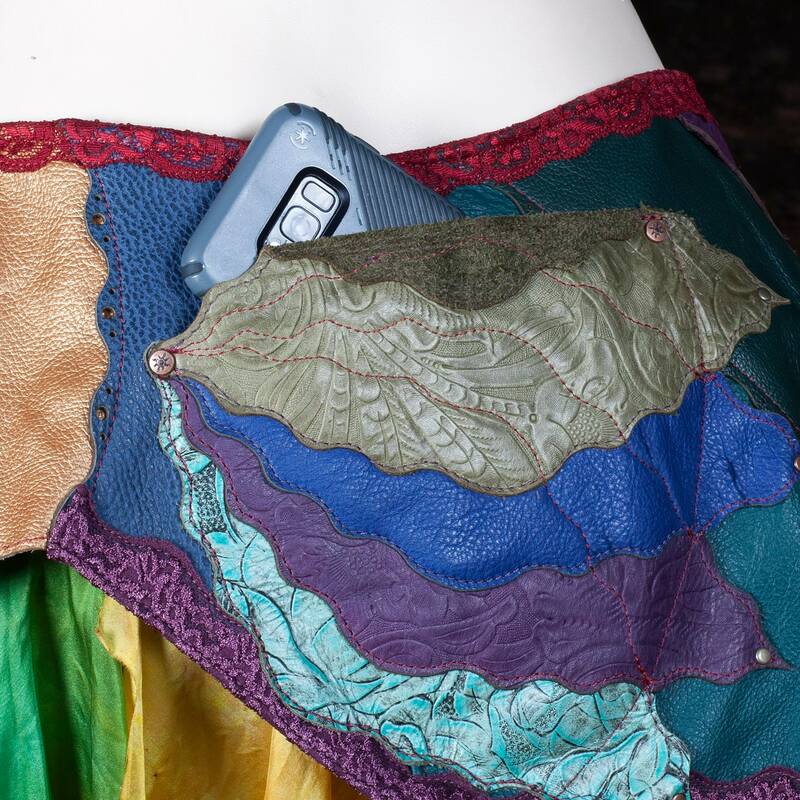 Pocket wise you have the perfect amount of room in the small double pocket for an ID, credit card, cash, lip balm and a phone in the big pocket.